Damen, a very common name in shipping industry, would like to invest in Bangladesh in a bigger way. Bangladesh’s geo-strategic position, political stability and economic growth of last 10 years are key elements to consider Bangladesh as Damen’s next investment destination. Chief Executive Officer of Damen Mr. René Berkvens expressed their interest to H.E. Sheikh Mohammed Belal, Bangladesh Ambassador to the Netherlands in a meeting on 29 January 2019. H.E. Ambassador and Embassy officials paid a visit to Damen Shipyard at Gorinchem, The Netherlands and have seen different models of water going vessels available in the yard. Since 1970s, Damen is active in shipping sector of Bangladesh. Damen has been providing dredgers to Bangladesh since long. This leading company is having significant cooperation with BIWTA, Ministry of Water Resources, Khulna Shipyard, Chattogram Dry Dock Limited (CDDL), Bangladesh Navy and Bangladesh Coast-Guard. During the meeting, H.E. Ambassador apprised the CEO of Damen about Bangladesh Delta Plan-2100 and how Bangladesh Government is taking preparation to implement the plan phase by phase. 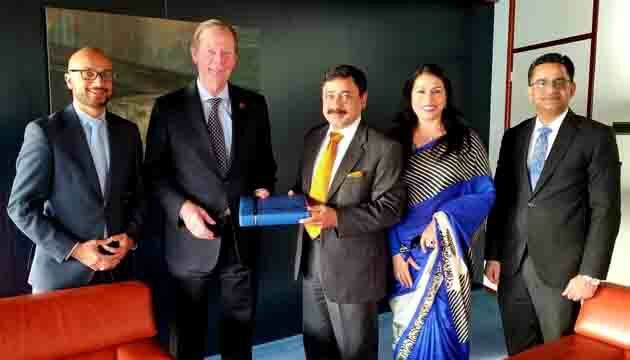 Ambassador has requested Damen to be part of this historic plan and approached him to come up with a plan of business expansion in Bangladesh. 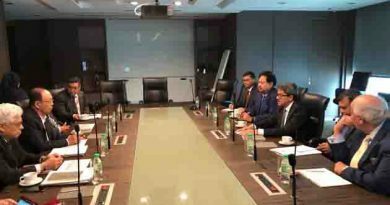 In response to Ambassador’s request, the CEO promised to visit Bangladesh in April 2019 to verify the potentials of investment in Bangladesh. Ambassador Belal assured him all out support to make his visit successful. 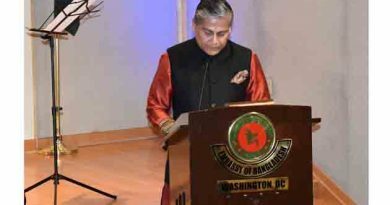 While thanking Mr. René for his acknowledgement of tremendous development journey of Bangladesh for last ten years, elaborated on how Hon’ble Prime Minister Sheikh Hasina imparted vision, brought political stability and working hard to make Bangladesh a gateway to South Asia. Ambassador Belal also highlighted both ongoing and upcoming mega projects in Bangladesh and urge them to be part of this development journey. Ambassador Belal also flagged the necessity of human resource development in shipping sector of Bangladesh and sought assistance from Damen. Damen, a 91 years old family owned company with a turnover of 2 billion Euro is having substantial presence in Poland, Romania, Vietnam, Dubai, China, Sharjah, Cape Town. Under the umbrella of Damen Shipyards group, worldwide they have 52 companies (in the Netherlands 24 and international 28) which has been creating employment for 12000 employers. They have the capacity to provide all kind of vessels, like- tug boats, offshore vessels, high speed craft & ferries, pontoons & berges, dredging & specials, defence & security vessels and yachts. Damen’s investment in Bangladesh would open up a new avenue for our shipping sector and accelerate our economic benefit in manifold. With regard to investment, Damen would look for common basis of understanding and long term relation. ← US envoy to Bangladesh meets with Foreign Minister and discusses ways on how the two countries build strong partnership on all fronts, including trade and economic partnership. 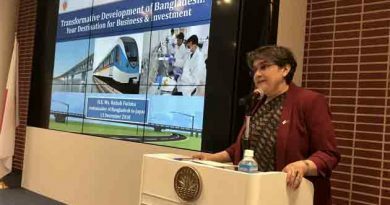 Bangladesh Embassy in Tokyo invites the Japanese business-persons to invest in Bangladesh.